It’s time for me to take a self-imposed break from blogging. I enjoy sharing my musical discoveries (& re-discoveries) and engaging in conversations with others who share the same passion, but with a busy few months ahead of me it seems like the perfect time to focus my energies elsewhere. This is only a temporary work stoppage and I look forward to revisiting many artists’ discographies in the not-too-distant future. One of my favorite parts of this experience is all the friendships I’ve established with fellow bloggers, so I invite you to check some of them out by clicking the links below. Each writer has his/her own unique approach and I can’t recommend their work highly enough. I’ll continue reading them & chiming in during my hiatus. I also hope you’ll revisit my archives if there are posts you missed the first time, and please click the links for any other bloggers in the Comments sections (and feel free to add your own comments as well, of course). 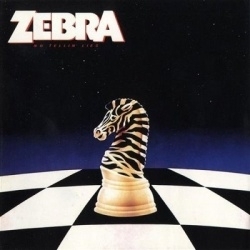 If you’re looking forward to my future posts, you’ll have to “Wait Until The Summer’s Gone,” which segues into this song by one of my all-time favorite hard rock bands, Zebra, from their sophomore album No Tellin’ Lies. 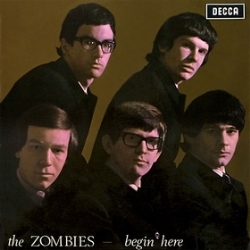 If you would prefer something jazzy & mellow, here’s The Zombies’ version of the Gershwin classic, “Summertime,” from their debut album Begin Here. HAVE A GREAT SUMMER AND, AS ALWAYS, THANKS FOR STOPPING BY. Thanks for the link, and have a wonderful summer! Thanks, Mike. Same to you. Hope all is well at Lebrain HQ. All is well and will be ready for your return! Thank you. Your posts and your comments will most certainly be missed. Thanks, DDR. I’ll still be stopping by (and commenting on) other blogs on a regular basis, so I’ll be around. Yeah you just can’t bail on LeBrains Aerosmith Series now can ya! Yeah you “Don’t Want to Miss a Thing”. Thanks Rich for the support and the link as well! Enjoy your Summer my Friend! Thanks, Derek. Same to you. I’ll be around all summer so you haven’t heard the last of me. I just won’t be creating my own content for a while. Thanks for the link, Rich. Enjoy your holiday, we’ll be here when you get back! Much appreciated, Ian. I’m looking forward to a few months of non-critical listening. I’ll also have more time for reading (books, magazines, blogs, etc) so I will use this time wisely. Cheers Rich. Always apply sunscreen. Me too. And dome protection! Oh wow! Thanks for the plug Rich! Wow! Deeply touched by that. Enjoy listening with “fan’s ears” as opposed to “critics”! Thanks, Rich! Enjoy the break! Maybe I’ll get my own blog started by the end of the summer. Thursday: Fleetwood Mac in Cologne, with the Rumours lineup. Up soon: Dylan, Europe, Fish, Supertramp, Suzanne Vega, Blackmore’s Night, Roxette, Gilmour, Nightwish, Robert Plant. That is quite a concert lineup, Phillip. Looks like you’re in for some great music. Would love to see Gilmour if/when he tours the US, and I’m especially looking forward to his 4th solo album which is due later this year. Thanks for the mention Rich, a well-deserved break after the awesome “Great Out of the Gate” series. You’re welcome, Ovidiu, and thanks for the kind words about my recent “favorite debut albums” series. We’ll miss you, Rich! I’m glad you’re taking a much-deserved break and spending some time enjoy the summer and non-critical music appreciation. One of the great joys of summertime is the magical combination of excellent music and coconut suntan lotion/sunscreen. Thank you for the shout-out. I appreciate your support, always. Thanks, Danica. I’ve taken short breaks of a week or two since I started blogging, but this is the first time it was clear that I needed a large chunk of time for non-critical music listening. I also want to enjoy some outdoor time (I’ve got several bottles of sunscreen just waiting to be opened). Of course, I also look forward to your posts, which always bring a smile to my face. Have a great summer. I’ll be here when you get back. Thanks. And I’ll be stopping by, as always, throughout the summer. Thanks for the mention, Rich, and look forward to more chats after the summer. Have a good one. Thanks, Matt. I’ll be stopping by throughout the summer, so you’ll be hearing from me. Enjoy the break Rich (and thanks for the tip of the hat) – I hope there will be plenty of sunny afternoons for you in this summer’s cauldron! Thanks, Geoff. Did you throw in a combined Kinks/XTC reference? Nicely done. Have a great summer break Rich and thank you very much for the mention. Feels good to part of such an amazing list of sites! Look forward to your return to blogging. Thanks, Scott. I’m glad you feel the same way about our blogging community. Enjoy the summer. I’ll see you at your blog & on Facebook. Thanks for introducing me to Zebra! I’m not sure why they sound familiar. Maybe it’s the sound in general? It seems the band members are busy touring individually. Have you been to any of the shows? I like what they’ve done with Zebra Radio on their website too. Hi Danica. I’m glad you’re enjoying Zebra. They’ve long been a favorite of mine and several of my friends, but many other people I know never took them seriously (their loss). I’ve seen them multiple times, mostly in the ’90s, and for a brief time I was friendly with two of the guys in the band through a connection I had when I was working at Atlantic Records. As good as the records are, their live shows are that much better…and it’s just the three of them. I haven’t checked out the Zebra Radio feature at their website but will do so soon. Hope you had a nice weekend and cheers to an enjoyable week ahead. It looks like they still perform together although I haven’t found a lot of dates. I’ll keep an eye out. Thank you and I hope your week is off to a good start…and that the moving project is going well. I imagine it will take a fleet of trucks to move your music collection! Very cool. Didn’t realize ZebraRadio featured live recordings. Will definitely give them a listen soon. Zebra plays a handful of shows throughout the year but they’re not a full-time band anymore. I’m still amazed they managed to release a 4th record in 2003…17 years after the previous one. Prolific they are not. The move probably won’t take place for a couple of months but the house sale should be final very soon. Big changes ahead. Hoping they’re all good changes. I will be personally moving my music collection. I wouldn’t trust movers with that precious cargo. Haha. Wishing you a pleasant & uplifting week. I was expecting streamed albums on ZebraRadio was delighted to hear live recordings. Great idea, isn’t it? I guess they’ve been pacing themselves musically. It’s charming that they didn’t dive head-first into a tidal wave of rock and roll. Haha, I should have known you’d be moving your music collection yourself! That’s the right decision :). Fingers crossed for your house sale! I’m sure the upcoming changes will be great, and not just good. “They must often change, who would be constant in happiness or wisdom.” (Confucius) The in-between actual moving part is less great, but will be worth it. BTW – I’m going through your list of recommended blogs for those I’m not already following. Thanks for that. Thanks for the good wishes about the house sale & move, and especially for the Confucius quote. Perfect! Your comment about Zebra not diving “head first into a tidal wave of rock and roll” would have been quite amusing had we been discussing the band Great White. 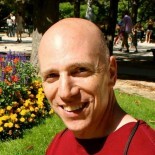 I’m pleased that you’ve been checking out some of my other favorite blogs. Hopefully a few new people have visited yours as well. Haha, yes. They’re a shy group, so some may be among the anonymous visitors! Good for you in taking a break because blog breaks are good! Thanks, aFrankAngle. I’m glad you understand the importance of a blog break. I’m really enjoying mine but I look forward to returning in a couple of months. I will stop by to check out your blog when I have some free time (which should happen eventually). What a pleasant surprise to get a reply during your blogging break. If and when you get the chance, here’s one for you. Sorry for the delay in responding, afrankangle. I was out of town last week and mostly off the internet during that time. Thanks for sharing the link to your post. It’s an excellent read. I’m not sure which level I’m at based on your criteria. Since I started my break I haven’t even thought about (or missed) writing my blog, but I’ve enjoyed stopping by & commenting on other blogs as well as responding to comments here. The impetus for my blog break was a summer with several travel plans as well as selling my house & planning a long-distance move, all of which are good things but take up a lot of time. I hope to be settled within a month or two and get back to normal at that point. I will be stopping by your excellent blog whenever time allows. No problem on the reply delay … after all, you are taking a blogging break. It seems you are a blend of my various levels of breaks, but that’s OK. Because you enjoy music, I invite you to stop by my original blog musical as the last act of Meals: The Musical goes live Wednesday 9:30 pm (Eastern US) … Then again, you may not see this for week. 🙂 I would imagine the next musical starting in mid-to-late August. Hey Rich! Enjoy your summer! On September 15, as many bloggers as who would like to join in are going to post up their Top 15 Albums Of All Time lists on their own sites. Community!! All the usual suspects (Mike, Deke, Scott, Sarca, the whole crew) are in and, hopefully, a lot more besides! I’ll be trying to link to as many as possible on the KMA. So, if you’re interested in doing up a list of your Top 15 Albums Of All Time and joining in the fun, the target date for all of us is September 15! It’s good to have diverse taste in music, although it’s also expensive and then there’s the issue of storing it all. Of course, I wouldn’t have it any other way. Me neither..as is evidenced by my huge collection of external hard drives. I know that a true audiophile listens to vinyl…but, sadly, I can no longer afford records. Who cares about “true audiophiles,” right? If you can’t afford LPs (and who can these days with those inflated prices? ), it’s more important to enjoy music in whatever format works best for you. I still have a decent LP collection and a ridiculous number of CDs, but I also have all of my CDs saved on a 2TB hard drive that I’ve backed up in several places. In my old age, when I can no longer store the physical product, at least I’ll have access to the music in one convenient place. Maybe, for some definition of “true audiophile”. If you prefer vinyl like some people prefer black-and-white photography, fine, a matter of taste. But if you believe that it is a more faithful representation of the original source, then you are wrong. Of course, comparing a CD and vinyl can’t prove this, because most people can hear which is which, and some will (perhaps subconsciously) claim that the vinyl sounds better. The way to do the comparison is to take a vinyl record and then convert it to CD format in real time and then have an A/B switch to do the comparison. If it were true that the CD format loses something which people can here, then such a test will show it. It doesn’t. This has been repeatedly verified in double-blind tests. There is no question about it. Saying that vinyl sounds better is demonstrably wrong. Of course, if you prefer it, that’s another matter. Again, that is like preferring black-and-white photography. Nothing wrong with that, but you can’t claim that it is a better representation of reality than colour photography. Almost all “audiophile” stuff doesn’t actually improve the quality of the sound. Good points about audiophiles, Phillip. I agree that audio quality is all a matter of taste. I know a number of people who would argue that the opposite is true based on waveform comparisons, but how can you claim something “sounds” better based on how it “looks”? In the end it’s up to each listener’s ears. While the analog sound of vinyl certainly has its benefits, a well-mastered CD can have all the warmth & clarity…and none of the pops & clicks…of its vinyl counterpart. No one debates the fact that one can tell the difference with various tools. Sure. The question is, can you hear it? If you can’t tell the difference, it doesn’t matter. A week from Friday: The new Iron Maiden studio album is released. A double CD, even though there are only eleven songs. Because they are long. “The Rime of the Ancient Mariner” is no longer the longest Iron Maiden song. At 18 minutes, one song is almost as long as a vinyl side. And Bruce Dickinson on piano. Reviews have been great. While one might argue that many bands have made albums better than any Iron Maiden album, I don’ think any band can claim such a high level of quality for so long. “To check the accuracy of the artwork, the band hired Mayanist scholar Simon Martin, who also translated the song titles into hieroglyphs.” Who else would do that? This entry was posted on June 1, 2015 by KamerTunesBlog (by Rich Kamerman) in Uncategorized and tagged begin here, kamertunes, kamertunesblog, music, music blog, no tellin' lies, rich kamerman, summertime, the zombies, zebra, zombies.